As the nation observes National Minority Health Month, April will be a good time to reflect on the progress we have made addressing disparities in health. It’s also time to recommit to furthering our efforts to achieve health equity, especially for our children. In California, almost 3 in 4 children are from communities of color. Our state’s future will be in the hands of a diverse group of children speaking multiple languages, encompassing a multitude of cultures, and contributing to the cultural richness that makes California what it is today. 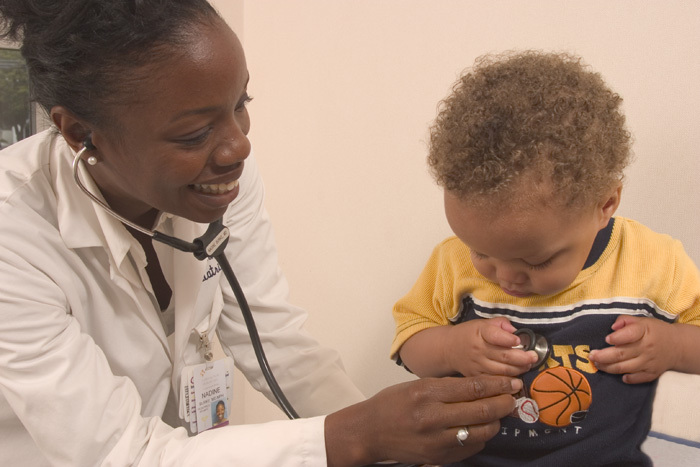 The health of our children of color is critical to the future health of our state. When President Obama signed the Affordable Care Act in 2010, he stated that it would “set in motion reforms that generations of Americans have fought for and marched for and hungered to see…affirming that essential truth, a truth every generation is called to rediscover for itself, that we are not a nation that scales back its aspirations.” As we consider our next generation, we can help affirm that no child ever needs to scale back his or her aspirations by helping to secure their health and well-being. As a result of the Affordable Care Act and critical programs like Medi-Cal, California’s Medicaid program, nearly every child in California now has an affordable option for health insurance coverage. Today, 5.6 million children are enrolled in Medi-Cal and just over 70,000 children are covered through Covered California—together accounting for well over half of all California children. According to the California Health Interview Survey, the rate of uninsured California children dropped from 5.7 percent in 2009 to 4.5 percent in 2014. The recent expansion of Medi-Cal to cover undocumented immigrant children will take California one step closer to covering all children. While we have made great strides in expanding coverage, more than 400,000 California children remain uninsured, and a disproportionate share of them (88 percent) are children of color. The good news is that most (over 75 percent) uninsured children of color are eligible for existing coverage such as Medi-Cal or subsidized coverage through Covered California. Improvements in affordability, expansions of quality care, and the creation of “medical homes” — a term applied to groups of doctors, nurses and other providers who provide comprehensive, integrated care to the patient — would help all families from every part of the country lead healthier lives. But this is true only if families are aware, enrolled, and informed. The remaining uninsured population of children is much harder to reach than those who enrolled in the initial years of coverage expansions and outreach campaigns. Reaching diverse families will require an ongoing investment in time-intensive, targeted, culturally competent, innovative outreach and enrollment assistance strategies rooted in the communities we intend to reach. Schools and early learning centers, faith organizations, clinics, small businesses, and other trusted sources are important partners in our work to reach families with information and assistance on how to enroll. But we also know that insurance alone will not erase the inequities in health that too many children face today. For children and families with insurance coverage, we need to make sure they understand their coverage and the health care system. This is especially important for diverse communities where language is often a barrier. Insurance can be confusing for all of us, but especially so for those that are newly insured and even more so for those who speak a language other than English. When at least one in three parents of young children has limited health literacy skills, there is cause for concern regarding the risk children face. Many families may not know about preventive services and how these services can help identify health concerns before they escalate into costly, potentially life-threatening conditions. Some may worry about the cost of seeking services, not knowing many preventive services are free. The integration of health into educational, social, and economic initiatives that will support families where they live, learn, work, and play is critical to reaching families and children with key information. The responsibility falls on all of us to educate families to become more informed, empowered health care consumers with the tools they need to make healthier decisions. California is the largest “majority-minority” state, with the overwhelming majority of children coming from communities of color. If we want our state to continue to serve as a leader in health care, economic initiatives, and industry, the implications of these demographic changes demand that we do more to improve the lives and outcomes of all of our children and eliminate disparities. Polls indicate that Americans are deeply concerned about the well-being and future of the next generation, with many overwhelmingly believing the next generation will not be better off economically than the current generation. As we commemorate National Minority Health Month, we feel the weight of our responsibility to exceed such expectations and do all we can to support our children. By focusing on their health, we focus on the very foundation of who our children are and make an investment for their lifetime. Mayra E. Alvarez is President of The Children’s Partnership.